Hotel Chocolat Velvetiser review: the ultimate luxury gift for hot chocolate lovers? What could be better than a steaming cup of smooth hot chocolate as the winter nights draw in? 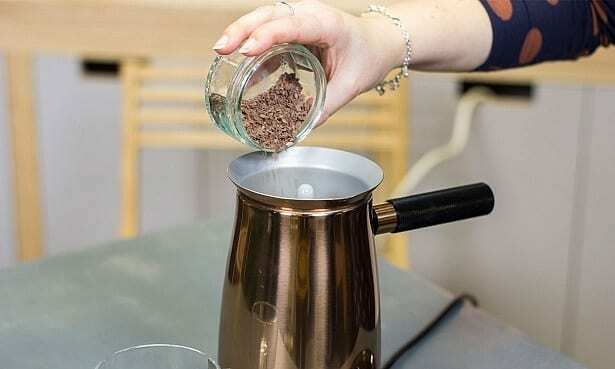 If you want to take your homemade versions to the next level, Hotel Chocolat’s new Velvetiser could be the answer to your prayers. 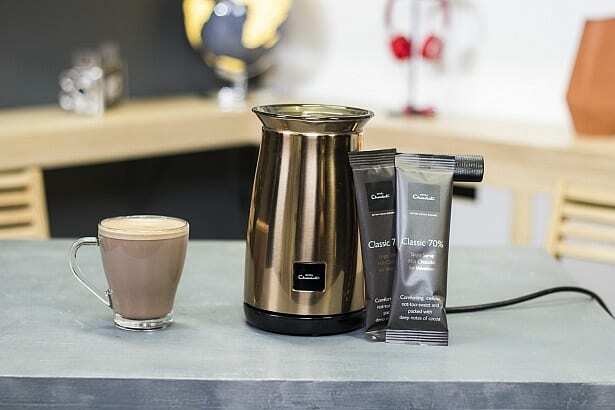 Developed in partnership with Dualit, the Velvetiser (£90) is designed to work with Hotel Chocolat’s premium hot chocolate flakes to create the ultimate ‘barista-grade’ hot chocolate. Available from 20 November 2018, although you can order it now, it’s arrived just in time to be at the top of every chocaholic’s Christmas wishlist. It’s pricey, considering you can buy an ordinary milk frother for less than £30, but is it worth it? 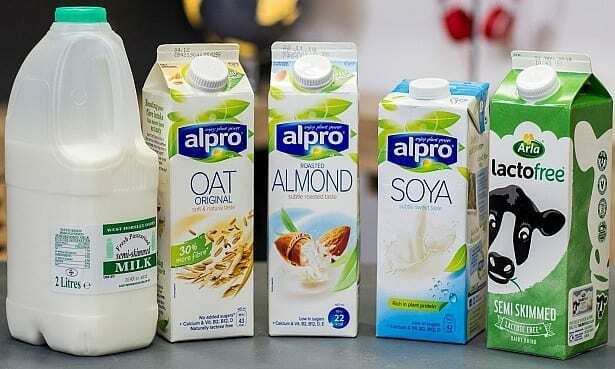 Read on for our full verdict, and the lowdown on how it fares with milk substitutes such as almond milk. 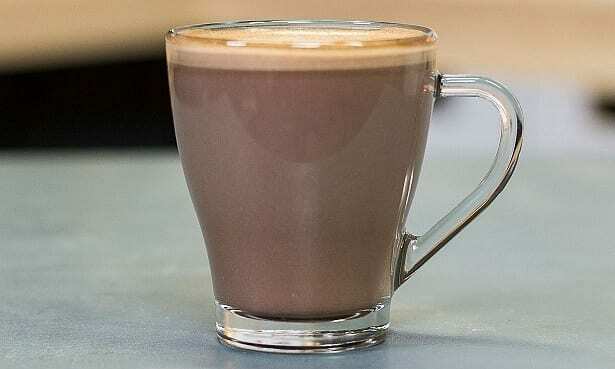 Overall, we thought the Velvetiser whipped up rich, smooth hot chocolate that was more akin to an authentic café experience than your average hot chocolate. It was easy to use and clean, too. As an indulgent treat for dedicated hot chocolate fans, it’s a winner. But there are cheaper alternatives available, and a few drawbacks to be aware of. For example, you can only make one drink at a time, so making a round of three or four can be a slow process. 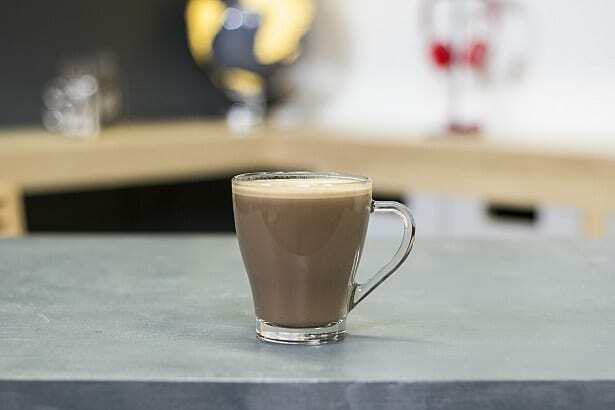 The Velvetiser works like a milk frother, heating and whisking milk and chocolate flakes to create rich, silky-smooth hot chocolate with a frothy top. It’s available in three colours: matt charcoal, on-trend copper and white. Pay £90 and you’ll get 10 chocolate flake sachets – two each of Classic, Milky, Hazelnut, Salted Caramel and 100% cocoa flavours – included. Upgrade to the starter kit (an extra £10), and you’ll get an extra 10 sachets, a re-usable gift bag and two cups. The Velvetiser is about the same size as a typical kettle, so shouldn’t take up too much room on your kitchen worktop. 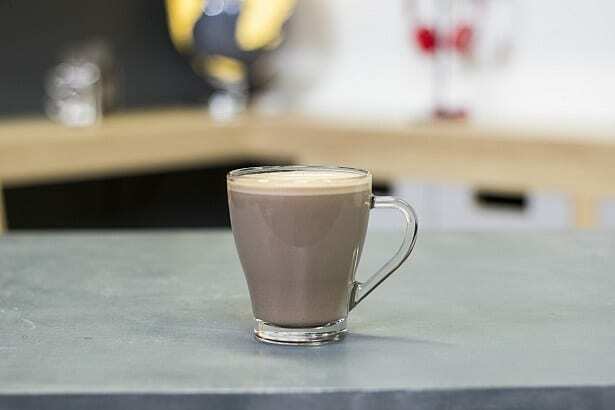 To make your hot chocolate, you simply pour in the milk (or alternative non-dairy substitute) up to the marked max fill line, add the chocolate flakes, pop the lid on and press the start button. The start button lights up in use, and then goes out when your drink is ready. It takes about two-and-a-half minutes, and when you’re ready to pour, the handle can easily be used both right and left-handed. We made hot chocolate using semi-skimmed milk and Hotel Chocolat’s Classic 70% Chocolate Flakes. It turned out rich, creamy and smooth, with just a little bit of froth on the top. It wasn’t piping hot, but was a good temperature to enjoy straight away. 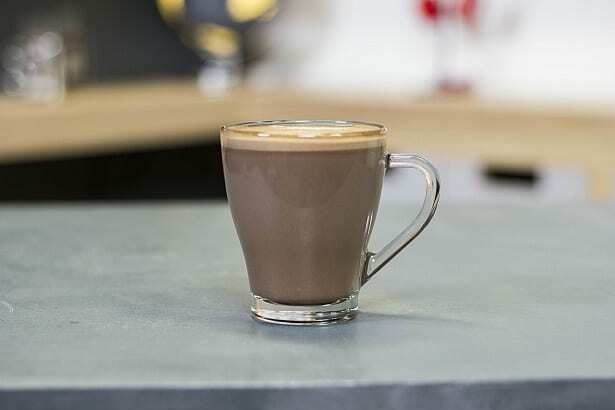 Hotel Chocolat recommends swilling your cup with boiling water first if you prefer a hotter drink (if you’re used to instant hot chocolate, it can seem lukewarm at first), but also warns that having it too hot can scald the flavours. How easy is it to clean? Clean up is mostly simple. The interior has a non-stick coating, so a wipe with soapy water and a soft cloth does the job well. The magnetic whisk comes out easily, but is fiddly to clean by hand as chocolate and milk get trapped in the various little edges and corners. It’s dishwasher-safe, but a small cleaning brush would have been useful for those without a dishwasher. We recommend washing it as soon as possible after using, to avoid dried-on grime. Overall, we were impressed with the Velvetiser, but a few things grated on us. The jug felt a little unbalanced when pouring, and wobbled when sitting on the base – not so much that it’s at risk of falling over, but we’d expect perfection at this price point. Given its not insubstantial size, it’s a shame that you can only make enough for one drink at a time – not a problem if you’re treating yourself to a hot chocolate on a cold winter’s night, but if you want to make several at once, the first will be rather cold by the time you’re done, so it’s hard to enjoy with more than two people. What type of chocolate can you use in the Velvetiser? The Velvetiser is only designed to work with Hotel Chocolat’s chocolate flakes, which limits your options a bit. There are nine different flavours available, including a special-edition Winter Spice Hot Chocolate. You can buy it in sachets with just the right amount of chocolate for a portion (£12 for a pack of 10), or in larger tubs if you don’t mind weighing it out yourself (£9 for a 250g tub). A 35g serving is recommended for the perfect hot chocolate, although we found this quite rich. You can experiment with using more or less according to your tastes. Hotel Chocolat advises against grating your own chocolate flakes, as larger chunks may get stuck and burn out the motor. Can you use it as an ordinary milk frother? 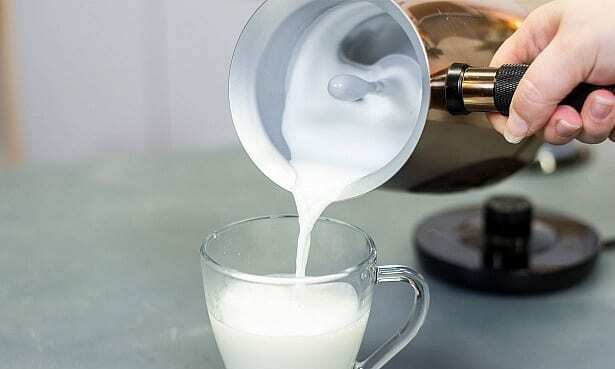 You can also make frothy milk for coffee or other hot drinks with the Velvetiser. It takes the same amount of time as hot chocolate – two-and-a-half minutes – and is quicker than many standalone milk frothers we’ve tested with the same amount of milk. We tried it with semi-skimmed milk and thought the results were more suited to a latte or flat white, rather than the stiffer foam needed for a cappuccino. If you’re a looking for a milk frother to make the perfect cappuccino foam, we’ve just tested a range of popular models from brands including Dualit, Illy, Lavazza and Nespresso. Discover our top picks, including a brilliant frother for making larger quantities in one go, and a great-value Best Buy, in our guide to the best milk frothers. Can you froth plant-based milks? You can use any type of milk or milk substitute in the Velvetiser, or even make your hot chocolate with water if you prefer. 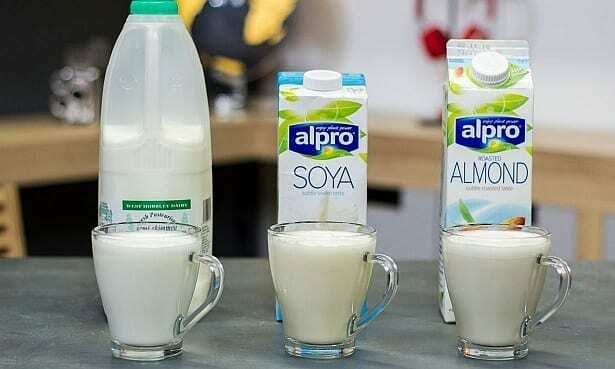 We tried it with a range of popular plant-based milk substitutes including oat, almond and soya milk, as well as lactose-free milk. There were some big differences in colour and texture, but they all made a pleasant, smooth drink with a slight froth on top. You can see the results for each in our gallery below. We found that the plant-based milks actually made a smoother-looking drink than the milk versions, which gradually separated over time. 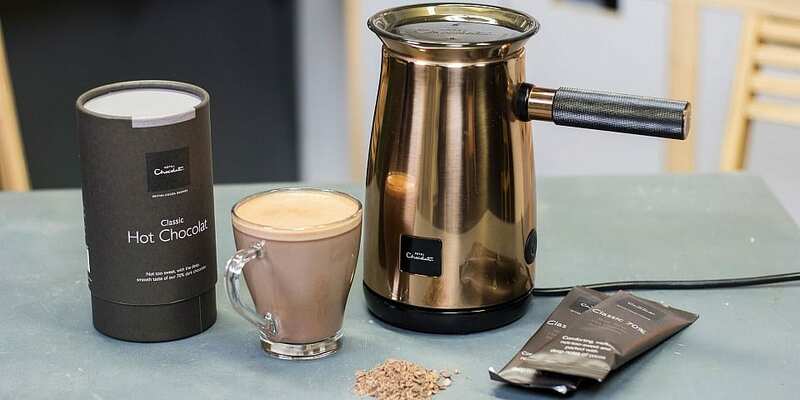 For fans of hot chocolate, the Hotel Chocolat Velvetiser is a great gadget that will whip up rich, smooth authentic hot chocolate at the push of a button. 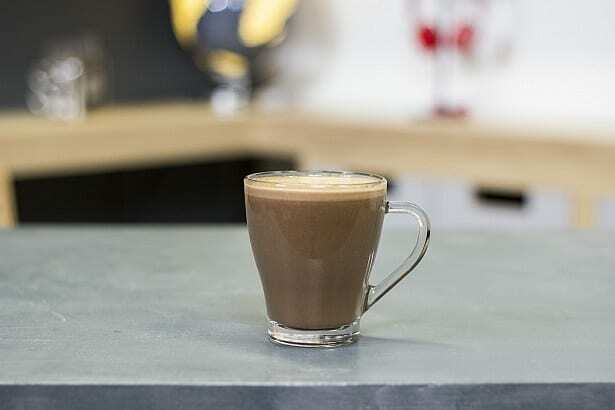 It’s rare to find a standalone milk frother that can make hot chocolate using flakes such as this in one step; in fact, only three of the models we’ve recently tested say you can add chocolate straight into the frother. However, if you don’t mind taking the extra time and effort to froth your milk and add the chocolate separately, then a milk frother could be a more cost-effective option. See our milk frother reviews for the best models for less than £50. Many coffee machines have milk frothing functions built-in. So if you like coffee as much as hot chocolate, a coffee machine could give you the best of both worlds. Choosing a coffee machine with a steam pipe will allow you to froth or heat milk just how you like it, so you can make anything from a flat white to a super-frothy hot chocolate. If you want a more hands-off approach, opt for a model with automatic milk frothing. See our coffee machine reviews to compare models and find the best for frothing milk.